Perhaps the world’s most famous footballer despite being retired, David Beckham is now a global celebrity with some 52m followers on Instagram. 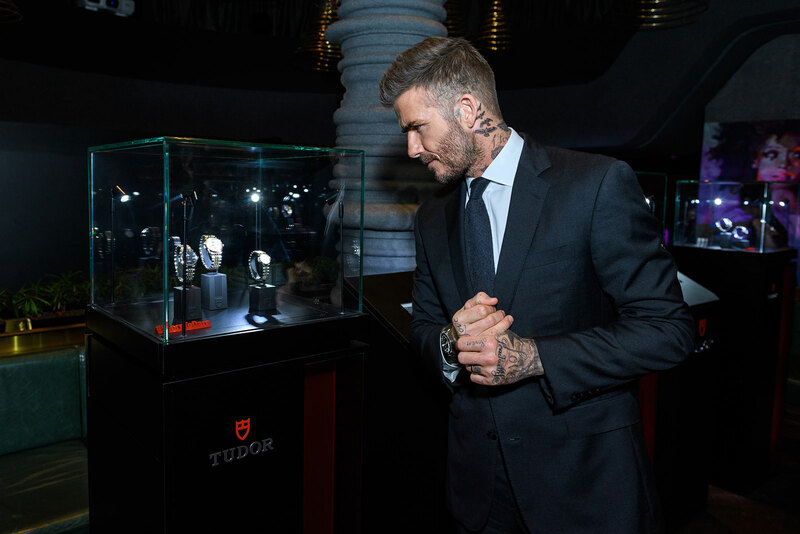 Tudor signed him up as a brand ambassador last year, but as it happens, Mr Beckham has been a watch aficionado long before that. He was just in Asia on a whistle stop tour to launch the Glamour Double Date (powered by a newly developed in-house movement), starting in Hong Kong followed by Singapore for a day, where I got to sit down with Mr Beckham for a chat. Mr Beckham is unusual as celebrity ambassadors go, being genuinely interested in the subject matter at hand. He’s frequently pictured wearing interesting complicated and vintage watches. As an interview subject, he responds in a warm and thoughtful manner, while being deft, gently able to talk around mentioning watch brands other than Rolex and Tudor. I had to find out more about David Beckham the watch collector, who has a notably philosophical approach to the hobby. The interview was done along with Sumit Nag of Revolution magazine. It has been condensed and edited for clarity. You’ve been photographed in public wearing interesting watches, both modern and vintage. Can you tell us about your interest in watches? I’ve always had an interest in watches since I was 10, 11 years old. They interested me in a way that I wanted to be a collector at some point. Over the years I’ve obviously been able to collect. I’m lucky to have collection that’s not huge, but good. I feel like I’ve made the right choices in the watches I’ve collected over time. I don’t think there is any mistake in the watches you buy; each watch is a moment in time where you can actually look back and think: that was when I first started my career with Manchester, or that was my first pay cheque with Manchester United, or that was my hundredth cap for England. And I think watches are like that – moments in time where you can look back on. It’s like music. When you hear certain songs, it takes you back to your childhood or Christmases that you spent with your family. Over the years I’ve been able to collect watches that hopefully, I will pass down to my children, to my boys and my little girl – I think there are a few watches in there that she has already got her eye on. What was the first milestone you celebrated with a watch, and what watch was it? It wasn’t a milestone but my first recollection of a special watch was my grandfather’s. My grandfather was a real elegant East End man. He was always in a three-piece suit, whether going to watch the Spurs play – because he was a season ticket holder – or going to work at the print or going to the corner shop to get the papers on a Sunday morning. He was always immaculate and he had this amazing watch. The make of it I can’t actually remember but it was an elegant, thin gold timepiece that was just immaculate. And that was my first recollection of a watch that meant a lot to me. And my granddad actually gave it to me, which was kind of amazing. Further on in life, I would say a vintage Rolex my wife bought me for my hundredth cap for England. I noticed that your wife and even your children wear cool watches. Does the interest in watches extend to the rest of the family? But I would say that watches have become more important to her. She does like nice pieces. She loves what we’re doing; she loves this partnership [with Tudor]. With the kids, even more so. Two Christmases or two New Years ago, I got the boys a Tudor each and got their names on the back. I took the boys to the Tudor offices in London, and they sat with the watchmaker and went through the straps. One of my sons, Romeo, he is obsessed. One of the guys in the office gave him the whole kit, the white gloves, the thing that you take the straps off with, so every single day he is constantly changing straps. And he is like, ‘No, everyone understands that I’ve just got different straps, and I like it. It’s a real kind of passion for the boys, which is a great thing because it’s making them aware of something that is special. What led you to work with Tudor as a watch brand? Over the years I’ve worked with many brands and sponsors. I’ve been lucky to work with great partners throughout my career, and even more so since I’ve finished my career. But the thing I always look for in partners is a long-term relationship because I think it shows commitment from both sides. 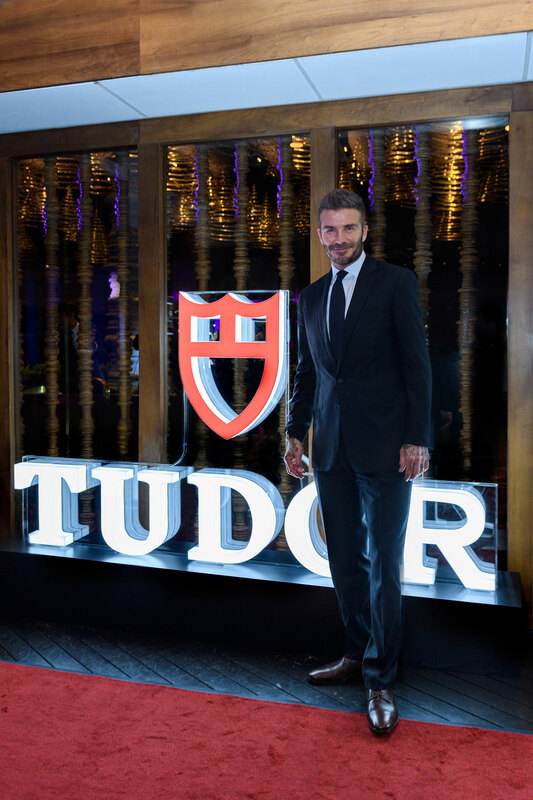 With myself and with Tudor, it was more than just two brands coming together, it was like two individuals coming together to create something special – creating a family. That’s what it felt like from day one. The moment that I first started talking to the guys at Tudor, it was like brothers talking. And that’s what I like to be part of. In your last campaign with the brand, there’s a little mention that your first Tudor watch was a vintage piece. Do you remember what occasion you purchase it for, and what was the watch? It actually wasn’t a special occasion. It was just me walking around London. I never really do that much shopping to be honest; I’m not a big shopper. I was walking around London and I didn’t actually go out to buy a watch but there’s an amazing street in London that sells all these vintage watches. And most of the time, I never go in there because I know sometimes they’re not even priced right or they’re overpriced. I was just browsing and I saw this watch. I thought it was a Rolex but it was actually a Tudor. It was an amazing timepiece, one of those things that I couldn’t get out of my head. I tried it on, and I loved it straight away. So I then went back to the store and got it straight away. It’s an amazing piece and one that I always get complimented on – one that I can wear with a suit or tracksuit or when I’m riding my bike. It was a “snowflake” Submariner with a blue dial and a vintage brown leather strap.